The Shaker Bed by Verona features a solid traditional design that makes an excellent statement piece within any master bedroom. 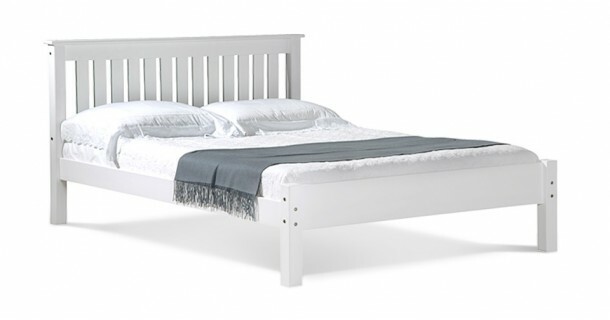 The strong featured headboard makes an attractive focus point whilst also maximising the space available in your room through the use of white. The Shaker Bed by Verona is made from pine and therefore provides a long lasting and durable bed frame. Please quote this Products's code 81015B to speed up your query if related.